The Rebel Sweetheart. : Globe offers Libreng Tawag from 8 countries to the Philippines. Globe offers Libreng Tawag from 8 countries to the Philippines. Leading telecommunications company Globe Telecom is offering Libreng Tawag services to the Philippines from eight countries in Asia, Europe, Middle East, and North America in support of overseas Filipino workers who may want to check on their families residing along the path of Typhoon Ruby. 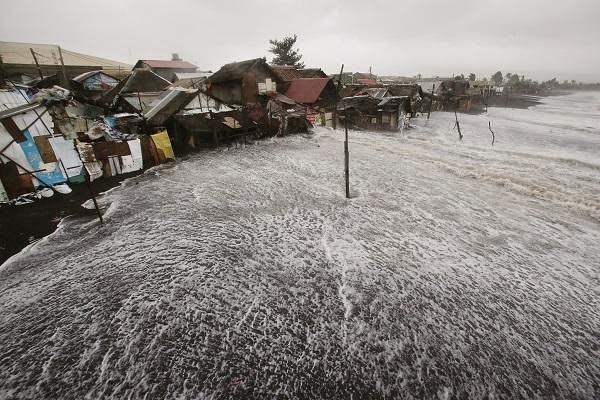 The onslaught of Typhoon Ruby. “In Italy, free calling services are available at the Globe Stores in Milan and Rome. For Spain, UK, Saudi Arabia, Canada, Singapore and Hong Kong, this public service started yesterday and is being offered through some of the accredited Globe retailers in those countries,” said Rizza Maniego-Eala, Globe Senior Vice President for International Business. “For the United States, Libreng Tawag in the west coast will be available in all branches of Seafood City through our partnership with them while Filipinos in the east coast will be served via web through the subscribed access service of Lunex, the Globe partner servicing the area,” Maniego-Eala added. Libreng Tawag will be available until 11:59pm EST on 08 December 2014. This is a great idea. I have a couple coworkers from the Philippines and I know this service would help ease their minds a lot. My one coworkers had just come back from the Philippines a few days before this hit. This is a wonderful thing that they are offering them free service during this season to get in touch with loved ones. This is so great that they are helping people find out if their families are okay. I have a few friends from the Philippines and I will be sharing this with them. This is a great service. I hope that there wasn't too much damage. I wonder who first thought of this. It's a great idea. I'm sure it has already helped a lot of families reconnect, and has comforted many people abroad since they were able to check on their families and make sure they were okay. I'm glad that there are companies that offer these kind of services. It must be really hard not to know how your family is doing in difficult situations.